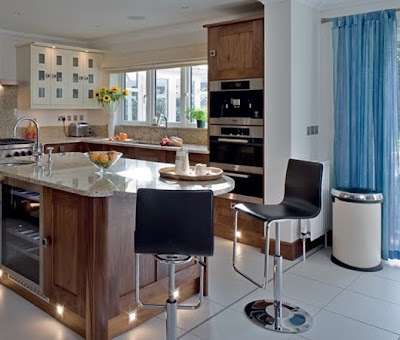 Walnut kitchen design home interior is a practical family kitchen, fits for a narrow space. 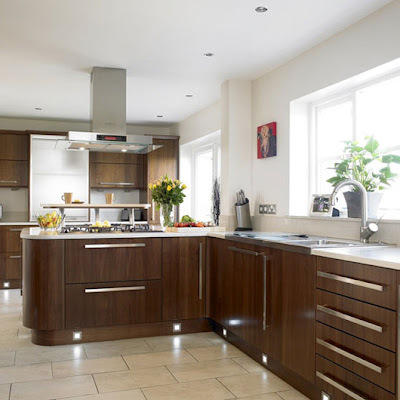 The warmth of walnut kitchen furniture and maintain a fresh look by choosing wall cabinets in a soft shade of cream. 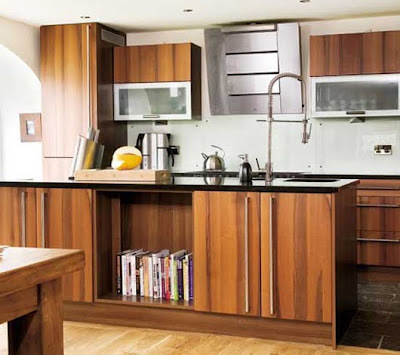 Simple wood units combined with chrome touches always looks stylish. Super-sleek walnut units with modern metal handles stand out against the bright white walls in this light-filled space.